Before I get into the Assault Course, I have a couple other items of business. First, this wonderful, but lately tempermental website. As I type this, it seems to be behaving. Our IT Guru, Mr. T. (Not to be confused with the A Team character and Rocky Balboa opponent) has been working day and night to correct the problem. Since he is a smart guy and pretty much built this site from the ground up, I have always felt confident he would solve this problem. He went into a detailed explanation about the cause, most of which I didn't understand, but what it all summed up to was that we needed more data server space at Amazon (which we now have obtained), and the code that makes all the photo pages work, needed some tweaking. He did say something about working more efficiently if he had rice crispy treats to eat, but I told him that that was unlikely until stability was restored to the site. I did give him a bag of Skittles, however. So that is the website update. Trust me when I tell you that we are all watching for any little issue. At this moment, there are 131 of you online at once and so far so good. Second order of business... In order to make your photo searching time easier, here is what we covered today. Aggressors and Flying Tigers on the Obstacle Course and Barbarians on the Assault Course. All those photos should be up or going up now. We put them in the respective galleries. Here's what's up in our coverage for tomorrow. 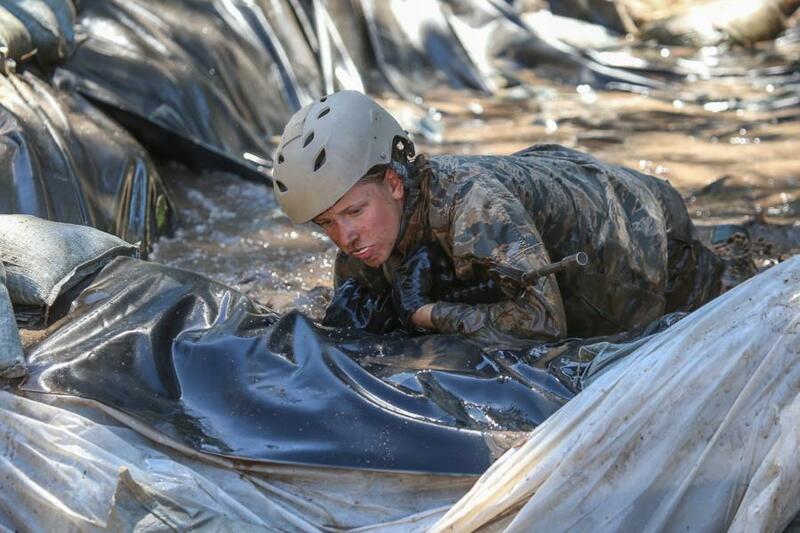 Barbarians & Guts on the Obstacle Course, Cobras on the Assault Course, & Hellcats at CATM. I know this disappoints some of you. In my perfect world, we would cover every course and every squadron every day. 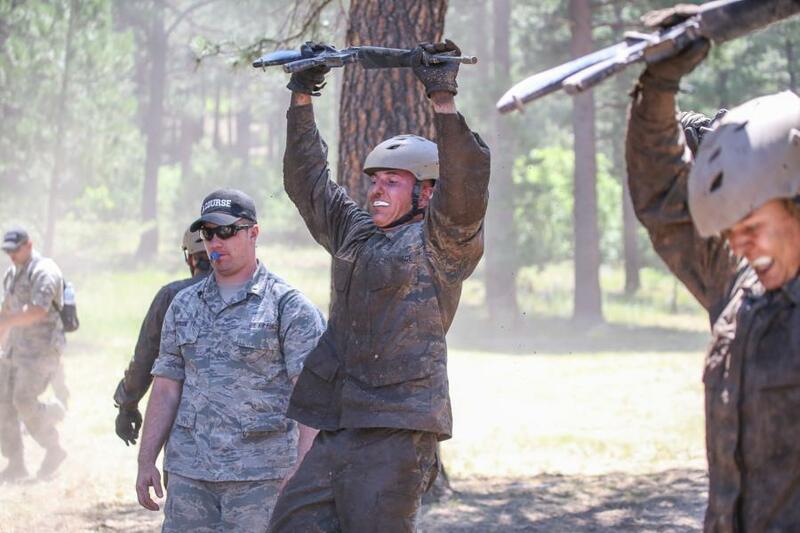 Given the rules we are living under this year, our goal is to make sure you get to see all the courses, even if it isn't your Basic on them, and every squadron on at least one good Jacks Valley course. So, let's talk about the Assault Course. 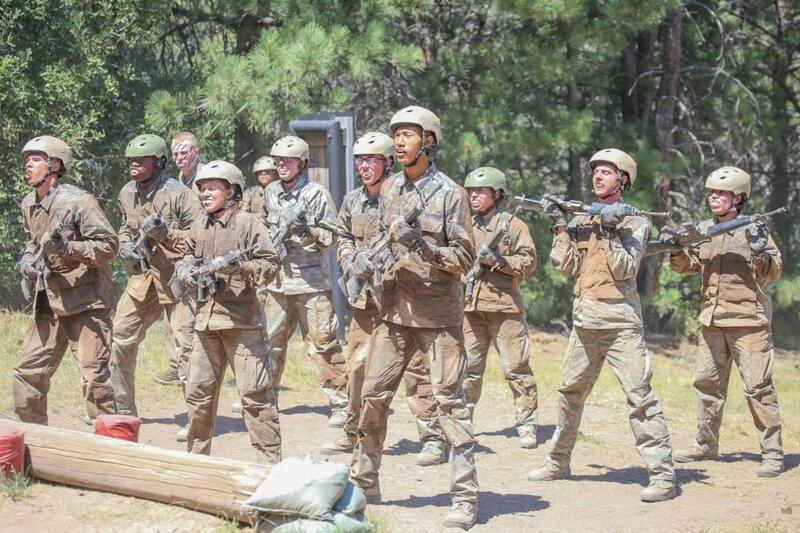 First at the Assault Course, the Basics are briefly taught armed and unarmed combat by the course cadre. 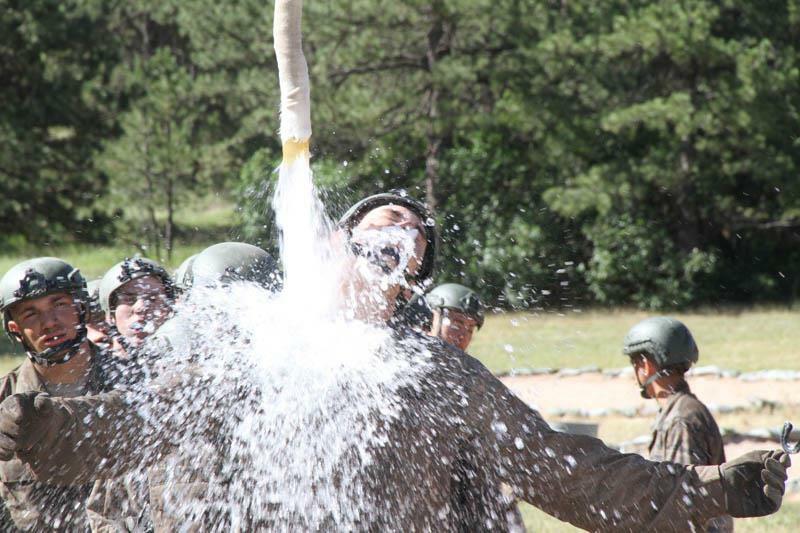 After this, the Basics are given one last chance to drink some water, and then they are taken onto the course! 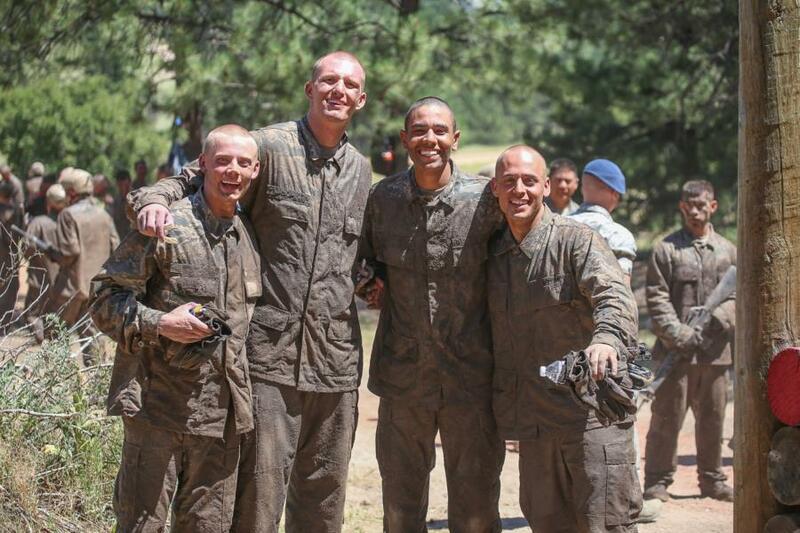 The course has multiple obstacles which they must complete while also doing nonstop PT between the obstacles. Of course I have left out quite a few of the obstacles, but in the end, they end up at #16 The Wall. 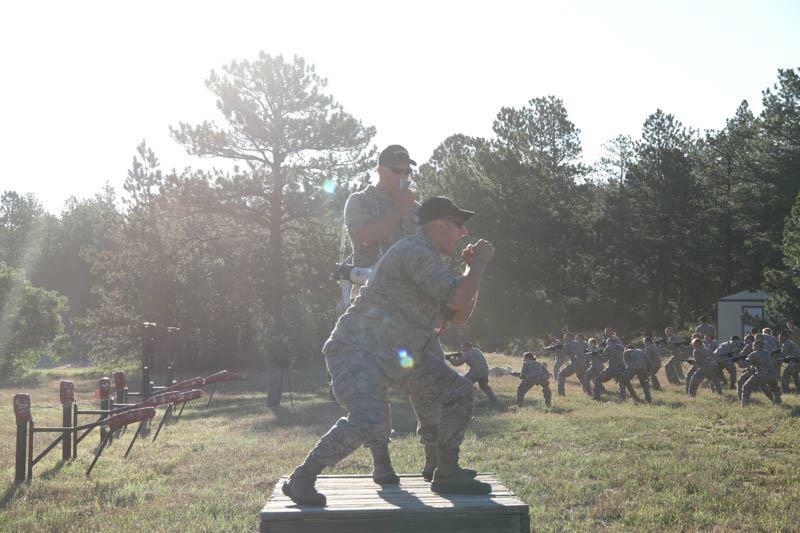 The Basics below are waiting for the signal to jump over the last obstacle. 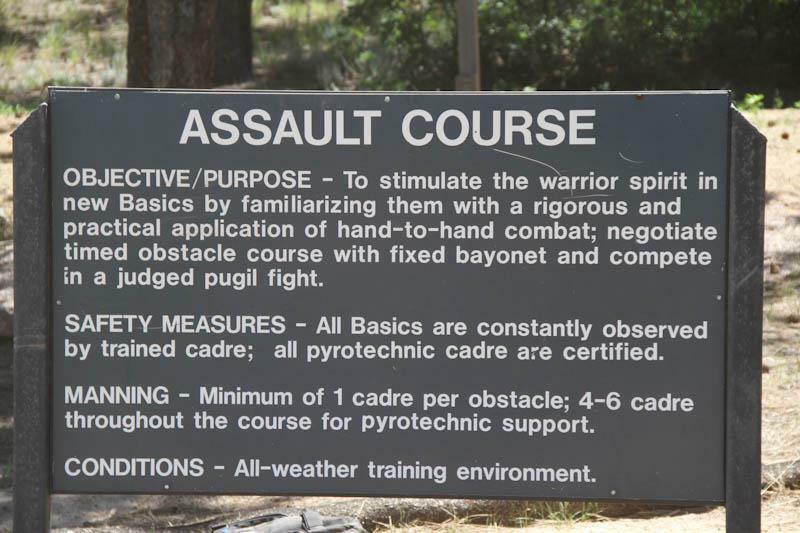 The Basics spend about three hours total on the Assault Course. 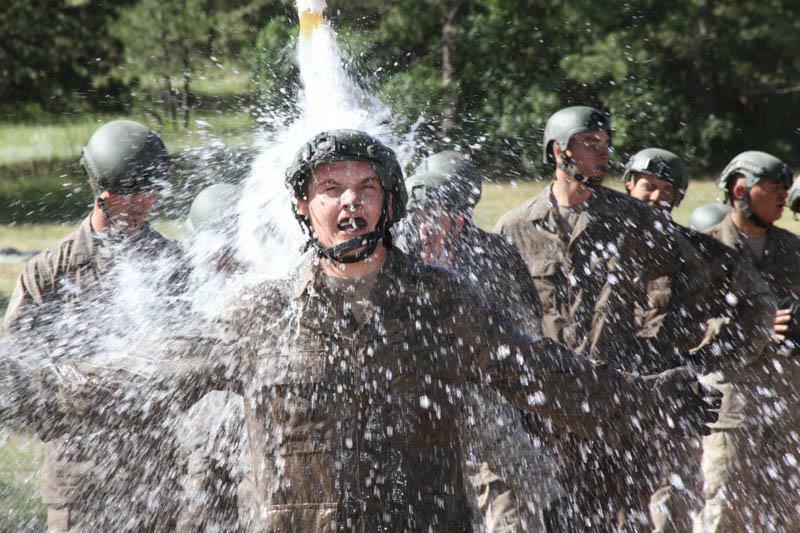 The first hour is learning combat, the next hour and a half are spent on the course itself, and the final half hour is spent taking 3 second "showers" by walking under the hose. At the end, this is how they look. 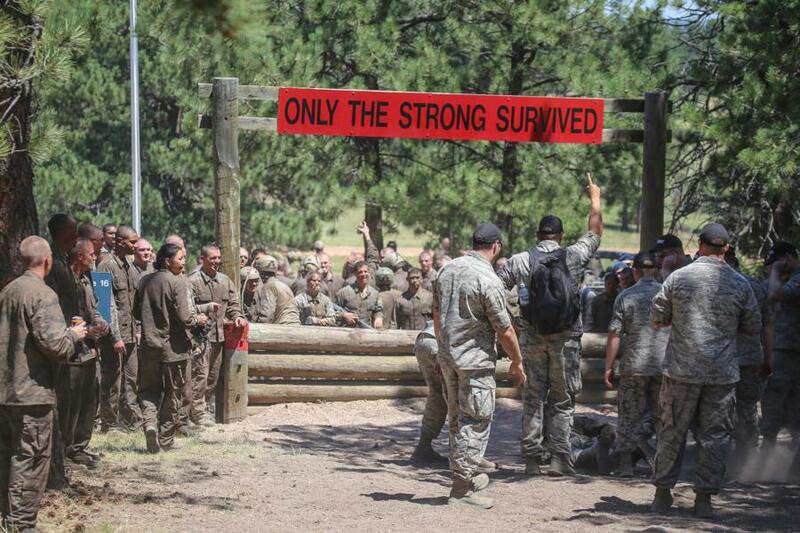 Tomorrow, the Obstacle Course. See you then!